Emmitt Smith, former Dallas Cowboys tailback, was once considered too small and too slow for pro football. In October 2002, Emmitt Smith became the NFL’s all-time rusher, breaking Walter Payton’s 1984 record of 16,726 yards. On September 19, 2005, at halftime of the Cowboys-Redskins game (broadcast on Monday Night Football), Emmitt Smith was inducted into the Dallas Cowboys Ring of Honor with his longtime teammates Troy Aikman and Michael Irvin. “I’ve given everything I can possible to the game, on and off the field,” Emmitt proclaimed about his 14 year NFL career. Born May 15, 1969 in Pensacola, Florida, Emmitt began his illustrious career at Escambia High School, before attending the University of Florida and being drafted by the Dallas Cowboys in the first round of the 1990 draft. Prior to Emmitt’s arrival at Escambia High School, the team had just one winning season in its previous 18. When Emmitt stepped on the field his freshman year, the losing would stop. Emmitt rushed for 1,525 yards and 19 touchdowns in his first year and carried the team to the divisional playoffs. Although Emmitt opened a few eyes his freshman year, no one could have predicted the numbers Emmitt would post over the course of his high school career. He was able to polish off his high school career with 8,804 yards and 106 touchdowns. Emmitt is still considered to be one of the top All-Time Offensive Players in high school football. After Emmitt’s high school career ended, he was faced with a decision of where to continue his career. He passed up Auburn and Nebraska and decided to stay in his home state and attend the University of Florida. He quickly jumped into the national scene, rushing for more than 100 yards in his second game as a Gator. The following week against Alabama, Emmitt moved into the starting lineup and set a Gator record with 224 rushing yards in a 23-14 victory. At the end of his first season, Emmitt had rushed for 1,341, a Florida record, and led the SEC. The next year Emmitt was plagued by a knee injury and had to sit out two games but still led the Gators with 998 yards rushing and nine touchdowns. By his junior year, he set new Florida records with 1,599 rushing yards and tied the school record with 14 rushing touchdowns. At the end of his three years at Florida he had scored 37 touchdowns, had 23 100-yard rushing games, was a NCAA All-American and still holds 58 school records. Emmitt did not stay his senior year, but instead made himself eligible for the NFL draft. Emmitt was drafted by the Cowboys in the first round of the 1990 draft. Coach Jimmy Johnson was looking to rebuild after a 1-15 season and felt that Emmitt could be the cornerstone of the Cowboys’ offense. Over the next twelve years, Emmitt was able to lead the Cowboys to three Super Bowl Championships, lead the NFL in rushing four times, was the league MVP in 1993, MVP of Super Bowl XXVII and made eight Pro Bowl appearances. In addition, Emmitt was the first player in NFL history to rush for over l,000 yards in 11 consecutive seasons and on October 27, 2002 he surpassed Walter Payton’s All-Time Leading Rush record of 16,726 yards and became the NFL’s All-Time Leading Rusher. After twelve seasons with the Cowboys, Emmitt finished his career with the Arizona Cardinals playing the 2003 and 2004 seasons and became the only player in NFL history to eclipse the 18,000 career rushing yard mark. In 2005, Smith signed a new contract with Dallas for one-day and no money so he could retire as a Cowboy. On February 3, 2005, at a press conference in Jacksonville, Florida, three days before Super Bowl XXXIX, he announced his retirement after fifteen seasons in the NFL. Fulfilling a vow to his mother that he would graduate from college after leaving school early to become Dallas’ first round draft selection in 1990, Emmitt returned to the University of Florida each NFL off-season to earn his Bachelors degree in Public Recreation in 1996. In September 2005, Smith signed on to serve as a studio analyst on the NFL Network show, NFL Total Access. “Running backs are magicians on the field. They twist and spin, jump and duck, stop and run, and stop and run again.” And, after years of dancing past linebackers in the National Football League, Emmitt was poised to show off a whole new set of moves. He competed in Season 3 of ABC’s “Dancing With the Stars,” and he won the title. He’s set to defend his championship in the upcoming 15th season of “Dancing With The Stars: All-Stars.” Today, Emmitt lives with his wife Pat in Dallas, Texas with their four children. The son of Mary and Emmitt Smith, Jr., Emmitt has two sisters, Marsha and Connie, and three brothers, Erik, Emil and Emory. Do you want to hire Emmitt Smith? Directly request a quote. In 48 hours we can send you the availability of Emmitt Smith If you would like to book Emmitt Smith, Entertainment Booking Agency is the right place. 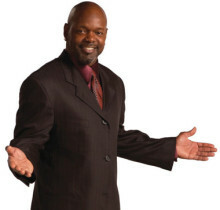 We will offer you the best price and contact the management or we directly contact Emmitt Smith. For corporate appearances or speaking engagements you can contact our agents and the will help you true the process. Tags: hire Emmitt Smith, Emmitt Smith booking, book Emmitt Smith, Emmitt Smith appearances, find more information on booking Emmitt Smith for appearances, Emmitt Smith speaking engagements, Emmitt Smith endorsements/spokesperson, Emmitt Smith appearance fees, Emmitt Smith booking agency contact info, biography of Emmitt Smith, Contact an artist booking talent agent find a speakers bureau that can book Emmitt Smith, speaker booking agency for Emmitt Smith, Emmitt Smith booking agency, Emmitt Smith booking for corporate event. EBA is one of the biggest entertainment booking agencies in the World. We book hundreds of celebrities, artist, athletes and speakers in a year. Important to know is that we are not claiming to be the management of Emmitt Smith. We are not the official agent for Emmitt Smith. Companies from around the globe book these artists and speakers true our company be course we have one of the biggest networks and we always have direct contact with the artist or the management. We help you to find the right celebrities for your corporate of private events. Please contact one of our agents to get free advice and we will help to get the world-famous artist on your party.